Modern Mattresses To Gear Up Your Bedroom! The modern era is all about living the dream life with a self-owned house, the perfect car, a happy family, etc. elements of an ideal luxurious lifestyle. So everyone is buying a nice house with the desired interior décor, desired furnishing, beautiful accessories, etc. While all the other things like Interior designing, furniture, etc. are given proper attention by hiring professionals for it, one thing which is quite neglected is the mattresses that you use on your furniture, be it the beds in your bedroom or any other room. Basically what it means is that everyone is giving more importance to the visual appeal and little lesser importance to the comfort factor. And the comfort factor is something which is important given the level of stress millennials face in today’s hectic routine. Conventional Inner Spring Mattresses: The Inner Spring Mattresses Conventionally involved the usage of a Bonnell Coil Core. Bonnell Coils are the oldest type of coils used in the setting up of the inside core of a mattress. They are steel wires wound in a circular motion to convert into an hourglass-like shaped structure. However these mattresses didn’t have appropriate upholstery, and the Bonnell Coils are highly prone to lose their shape, so such mattresses often have springs coming out of them. The Simple Cotton Mattresses: The Conventional Cotton Mattresses involved beaten up cotton filled in the layers of the mattress and simply woven together to make a mattress. However such mattresses often have uneven bumps of Cotton getting collected in one place, which doesn’t allow you to sleep properly. 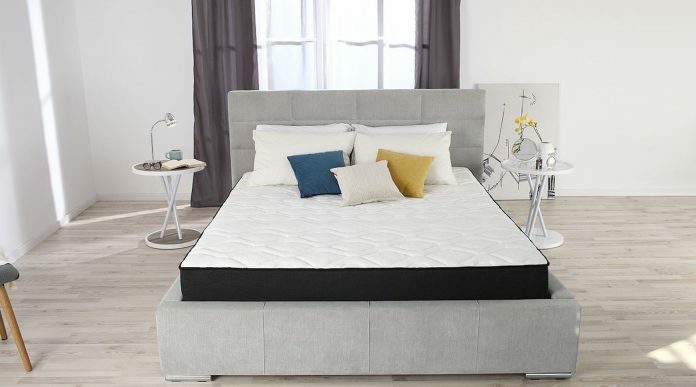 Foam Mattress: Although the Foam Mattress is a Modern type of mattress, it still has been around in the industry for a long time, and since there have been a whole lot of inventions and advancements in mattress making, you need to replace it with the modern ones. How Modern Types of Mattresses Stand on the basis of Comfort and appearance? Viscoelastic Polyurethane Foam Mattress (Memory Foam Mattress): This is an upgrade to the conventional Foam mattress. The Memory Foam mattress is made up of a Low Resilience Polyurethane (LRP) material on the surface and in the layers. What the LRP foam does is that it reacts with higher body temperatures to change its shape and contour your body to adapt the shape. This provides you with the utmost levels of comfort, especially if you are picky about a particular position in the bed to sleep you can pick what’s the best bed position you like, and then the mattress shall do the rest. Gel Infused Foam Mattress: Yet another upgrade to the foam mattress, in this type of mattresses, a gel is infused in the layers of a regular foam mattress using advanced technology. What this gel does is that it assistant faster heat dissipation, and it also provides a smoother body contouring without causing any body pain. Hybrid Mattress: A Hybrid Mattress involves the fusion of two or more modern types of mattresses, like the foam mattress, the gel mattress, etc. and might also include the addition of certain elements like the inner spring coils in the core of the mattress. What it does is that, it provides a more balanced sleeping experience to the users, not involving too much body contouring or too firm surface. Waterbed Mattress: Although this is not that much of a modern type of mattress, it is still a unique and significant type. A waterbed mattress is extremely beneficial for people with medical ailments for the back and neck. This type of mattress evenly distributes your body weight like water. Mattresses are an important part of your decor for sure, but they’re certainly more important from a comfort perspective. Because you can lead a good quality of life only if you get good sleep. So to ensure that you get a good night sleep and also that your bedroom looks cool, you need to find a modern mattress for your bedroom. Some of the modern types of mattresses include Viscoelastic Polyurethane Foam mattress, Waterbed mattress, Hybrid mattress, etc.